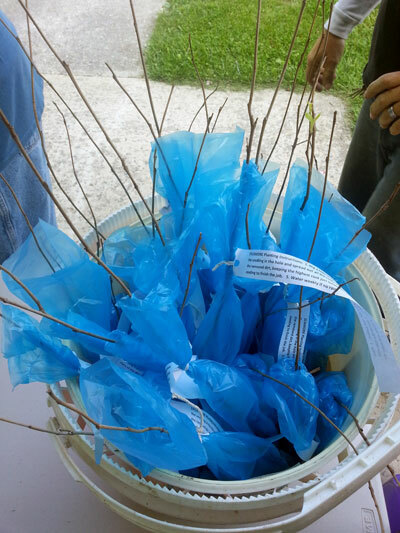 The tree planting started at 9 AM on Saturday, May 17, 2014. 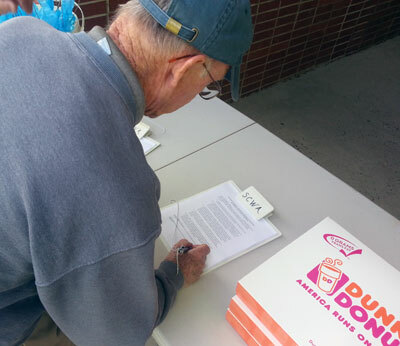 Twenty-three people participated, including two liaisons from the Cacapon Institute. 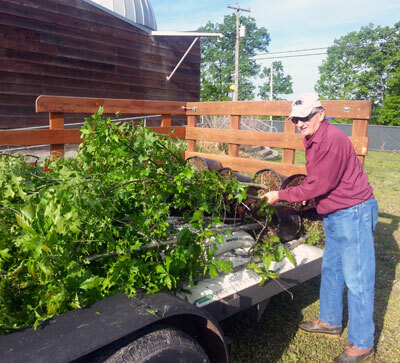 The volunteers were from the Sleepy Creek Watershed Association (9) and the Greenwood Elementary School: Principal (1), Parents (7), and Students (4). It was a warm, sunny morning. However, the ground was very wet from a heavy rainfall the preceding Thursday evening/Friday morning. The majority of the volunteers worked 2 hours Saturday morning. However, this shorten time was facilitated by 3 school parents digging the holes for the trees the night before the planting and 4 Sleepy Creek Watershed members starting an hour earlier Saturday morning to assist the Cacapon Institute representatives in distributing the trees and other supporting materials to the pre-dug holes. After planting instructions were demonstrated by the Cacapon Institute liaisons at 9 AM, the volunteers divided into groups and the plantings proceeded without any major issues. Ten trees were planted along the south edge of the school property, two in the playground area, and four behind the main school building. 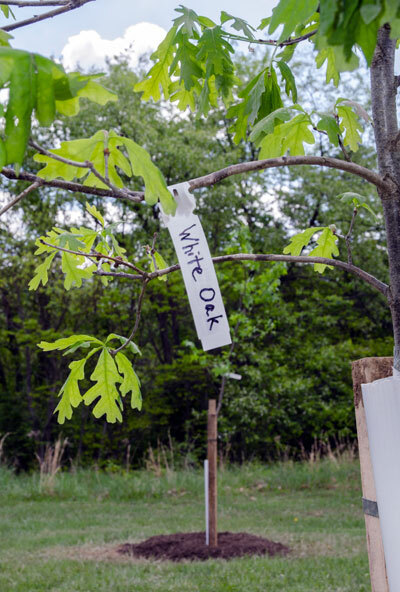 The WV Project CommuniTree sign was attached to the fence at the entrance to the school parking lot, and at the conclusion of the planting, lunch was served by the principal in the school cafeteria. All-in-all it was a good event and everyone was pleased with their participation and the outcome.